This entry was posted in The Hermetic Library, The Opinion Pages, Thelema and tagged anecdote, antagonists, apoplexy, attention, black brothers, centre, control, conviction, creatures, cure, desires, disease, drama, ego, egos, emotion, hate, illusion, in other words, influence, injustice, John Griogair Bell, justifications, life purpose, limitation, meaning, mind, mind your own business, motive, observation, personalities, Power, psychological need, psychological wounds, reality, seeking justice, Self, stalkers, story, target, trolls, true will, validation, vampires, venom on March 24, 2013 by John Griogair Bell. This entry was posted in The Hermetic Library, The Opinion Pages and tagged code of conduct, common sense, encryption, fraternal organization, freemasonry, freemasons, frisson, grand lodge of massachusetts, history of may day, international labor movement, Patrick Renshaw, protocol and etiquette, secret society, secrets, security culture, social media, society with secrets, Steven C. Bullock, US Grand Lodge of Ordo Templi Orientis on January 18, 2013 by John Griogair Bell. “So much for Christian charity! Plymouth Brethren lose battle for tax relief because ‘they’re doing no public good’” is a recent article from the Daily Mail UK. “MPs say the Plymouth Brethren have been discriminated against because they are a highly private group who prefer not to talk publicly about their good works. The MPs spoke out after Lord Carey, the former Archbishop of Canterbury, said he was ‘very concerned’ about the warning to Christian groups and called for a ‘strong fight’ to resist the secular drift of rulings from the Charity Commission. A commission spokesman said: ‘We received an application for registration from the Preston Down Trust, a Brethren meeting hall. You can read a bit more from one particular perspective on this sect at The Plymouth Brethren from The World’s Tragedy by Aleister Crowley. “The religious movement which obtained this name through the sudden and enormous success of an evangelistic crusade at Plymouth in its early days was started in Ireland. If its literal interpretation is once abandoned, the whole structure crashes to earth. This it will be seen is identically the Catholic position, save that for “literal” Rome reads “Ecclesiastical”. Darby, too, found himself forced into the practical admission that “literal” meant Darbeian; for some of the more obvious contradictions and absurdities in the Bible are too necessary to the practical side of religion to be ignored. Seeing this, they devised an elaborate system of mental water-tight compartments. The contradictions of Old and New Testament were solved by a Doctrine that what was sauce for the Jewish “Dispensation” was not necessarily sauce for the Christian “Dispensation”. Cleverer than Luther, they made possible the Epistle of James by a series of sophisms which really deserve to be exposed as masterpieces of human self-deception. My space forbids. So, despite all the simplicity of the original logical position, they were found shifting as best they might from compromise to compromise. But this they never saw themselves; and so far did they take their principle that my father would refuse to buy railway shares because railways were not mentioned in the Bible! Of course the practice of finding a text for everything means ultimately “I will do as I like”, and I suspect my father’s heroics only meant that he thought a slump was coming. As the movement was a major part of Aleister Crowley’s upbringing and intellectual development as a child, I find it interesting to read about the Plymouth Brethren, past and present. Personally, I’ve find myself speculating from time to time on how and where these very same criticized traits might be suppressed influences, genetics one might say metaphorically, which could be expressed and resurface as pitfalls in the ongoing development of Thelema. 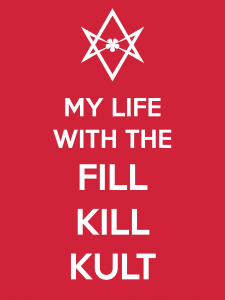 Thelema in some ways can be seen, and I’ve used this kind of history to self-interrogate my own involvement and experience, at the very least in part, as a specific reaction to, and thus heavily influenced by, the experience of Aleister Crowley within that Plymouth Brethren movement. This entry was posted in The Libri of Aleister Crowley, The Opinion Pages and tagged aleister crowley, charity law, christian charity, daily mail uk, intellectual movement, john nelson darby, literal interpretation, plymouth brethren, public benefit, religious movement on November 17, 2012 by John Griogair Bell. Occasionally, I am contacted by people who are interested in the Western Esoteric Tradition, but are overwhelmed by the daunting amount of information available. 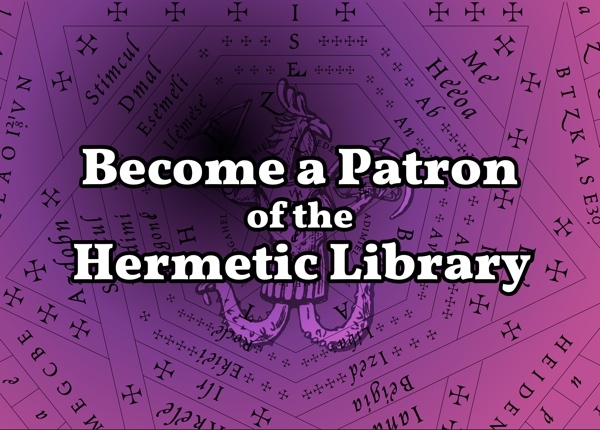 They’ve found the Hermetic Library because they’re looking for information, but sometimes it can be really difficult to know where to start. Well, honestly, I always hesitate to suggest directions and such for anyone, let alone someone I’ve never met. However, I have over the last few years managed to put together some general ideas in response to these questions when they come my way. Here’s an example of a few remarks I currently have prepared, that I thought I’d share here now. First, I point out that I have no idea what path someone else is on, what ‘current’ or tradition they work in. There are so many, and it seems to me that anything specific about one person’s practice is not necessarily useful or suited for another’s, even if under a ‘tradition’, a general label, for which I might share a similar understanding. With that said, I suggest people consider thinking about work developing two things: theory and practice. 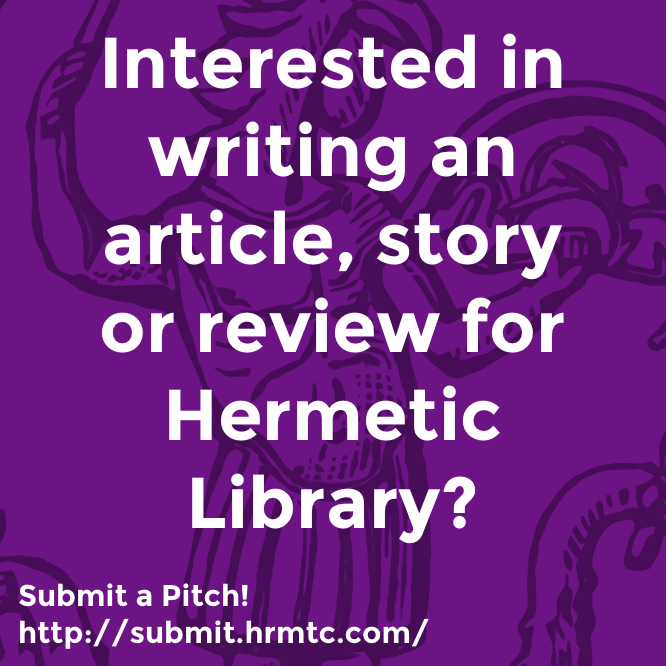 For theory, of course, I encourage people to read through and engage the materials at the Hermetic Library site. (If one is interested in Thelema, a good place to start is by checking out Thelema for example.) There’s a lot there, to be sure. However, there’s plenty that is not there. One technique that I’ve suggested to people is to head to a good esoteric bookshop. I don’t recommend the big chains or the fluffy new age kind of shop, but there should be, somewhere local if not nearby, a shop with a serious selection. (If there isn’t one of those latter kinds of shops, then one can made do with one of the former.) Go into that shop and start checking out books. Flip through materials until something really grabs the attention, and that one feels an enthusiastic reaction about. Now, I want to be clear: I am not saying that the material creates warm and fuzzy feelings, though it might be. I suggest taking note of anything that gets one’s attention even if, perhaps specifically because, that is something that seems transgressive and edgy. For this purpose look for things about which there are energetic reactions of any kind. Once something like that has been found, read it. Repeat that process: follow enthusiasm! For practice, consider starting a daily practice that includes both ritual and journaling. Don’t think of the specifics of daily practice as a life-long commitment. Think of daily practice as general container for a varied series of specific experiments about which to record results in a journal. Pick a specific practice and make a commitment to do that for a month. See what happens. Record the experience, the ongoing results. Then, pick something else to do for some period of time. And remember that for experiments it’s actually the failures from which one can learn the most interesting things, so don’t self-flagellate about the particular experience and results. Just do the experiments, and if they fail half way through so be it, record that a journal as something to learn from. Experiment, experiment, experiment. Also, for practice, consider checking the local area for groups that are actively doing public ritual of some kind, and attend those events. At that previous good esoteric book shop, look for their newsletter, bulletin board or website for notices and a calendar of events. Get to know people doing these activities and talk to them. See if they are people that seem both interesting and grounded or not. Attend a variety of events in the local area and see what they are about, and how you feel during and after the ritual they celebrate; compare them and see what seems to be the best personal fit. Then, when there is some group doing active ritual that seems compelling, start to participate. So I suggest that people follow enthusiasm and experiment, experiment, experiment. Do a personal daily practice and participate in the community. I personally think doing some combination which works toward all those things will help people find their people and more fully follow their path, and perhaps more importantly have a strong relationship with themselves and a strong personal practice either way, from which to take next steps. I hope these remarks offer some help, even if only a little bit. Of course, each individual’s milage may vary, and so on. If you have comments or suggestions about these remarks, do consider contacting me. If you take the advice offered, consider letting me know how it goes, if you like! 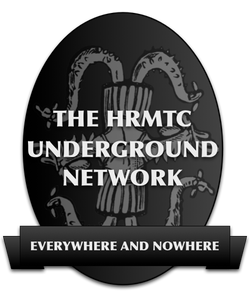 This entry was posted in The Hermetic Library, The Opinion Pages and tagged Cole Porter, community, enthusiasm, experiment, hermetic library, individual, personal practice, thelema, theory and practice, western esoteric tradition on September 20, 2012 by John Griogair Bell.